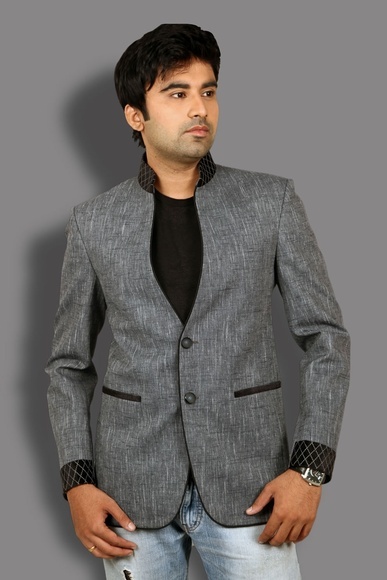 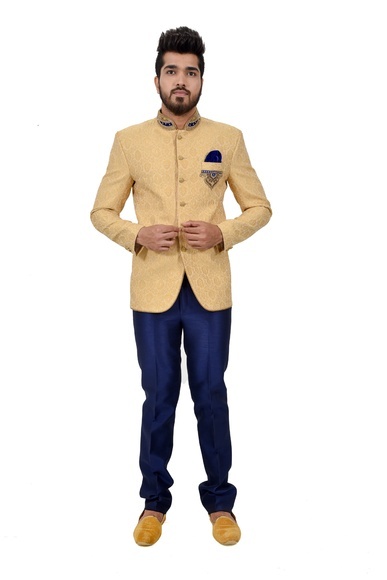 Jodhpuri suits can give a blandly urbane as well as subtly traditional look. 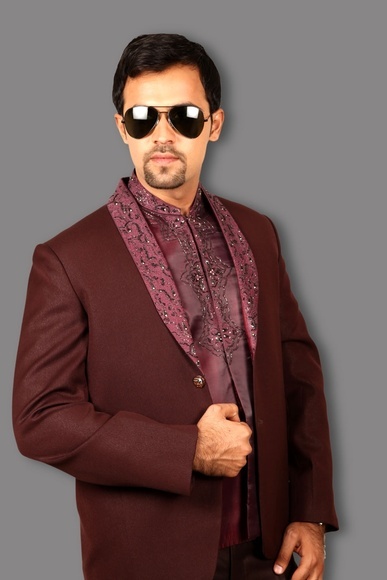 Basically, it is a coat-like, packed neck kurta worn with a trouser. 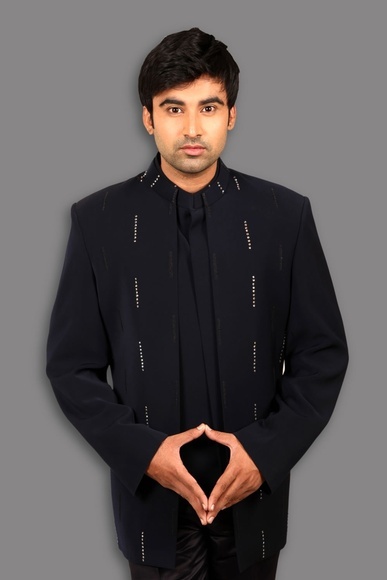 Popularly recognized as an Indian version of the tuxedo, jodhpuri suits are everything elegant and gentle. 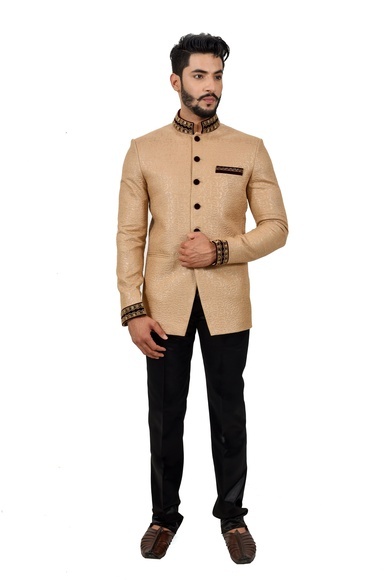 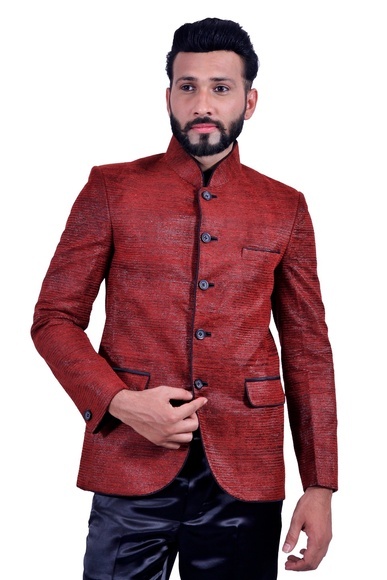 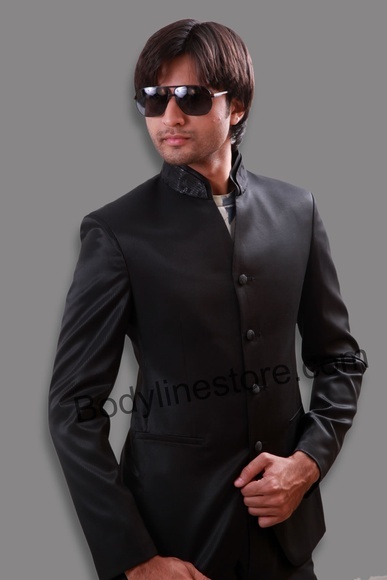 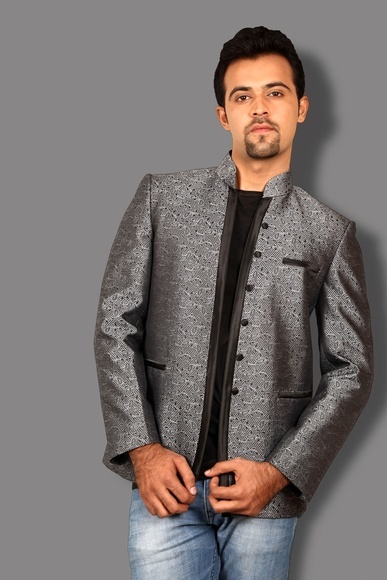 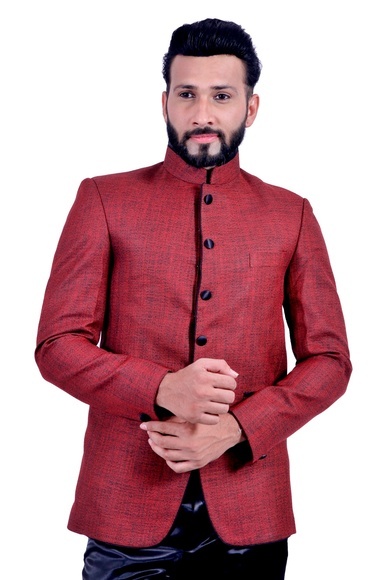 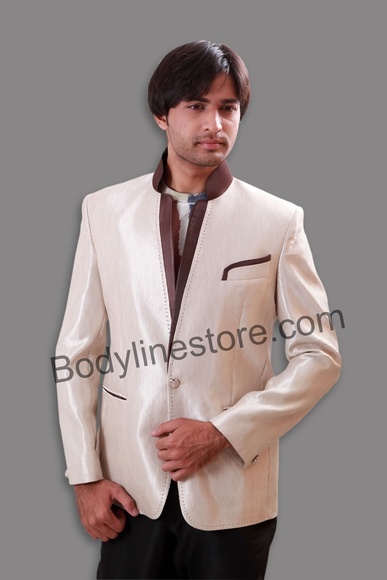 The closed neck pattern of jodhpuri suits resemble popular Indian ethnic garments Nehru jackets and Sherwanis. 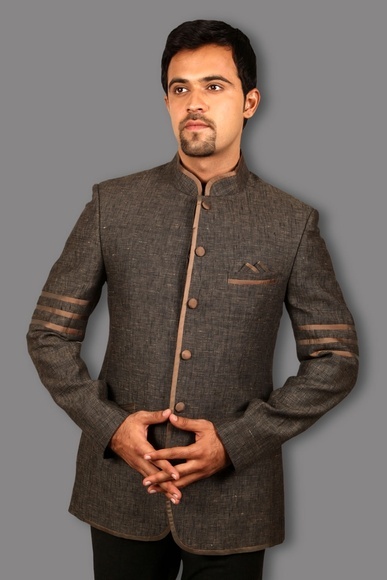 Jodhpuri suits are a flawless combination of Indian and urban aesthetics that helps you keep classy and suave. 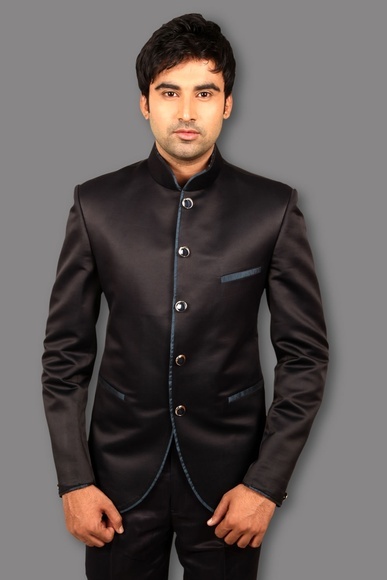 Whether you are wearing it for a wedding or a meeting, it helps create an elegant statement. 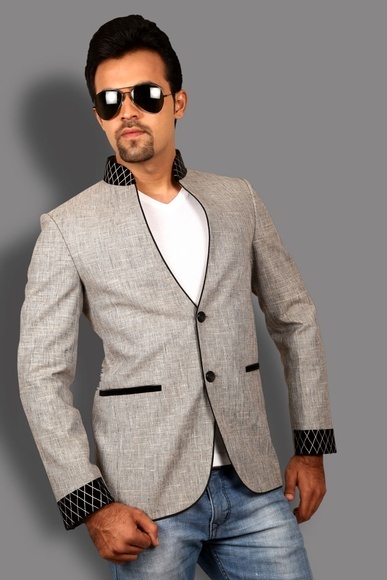 It is a sure-shot outfit that would surely create a distinctive impression and is worth having a place in your wardrobe. 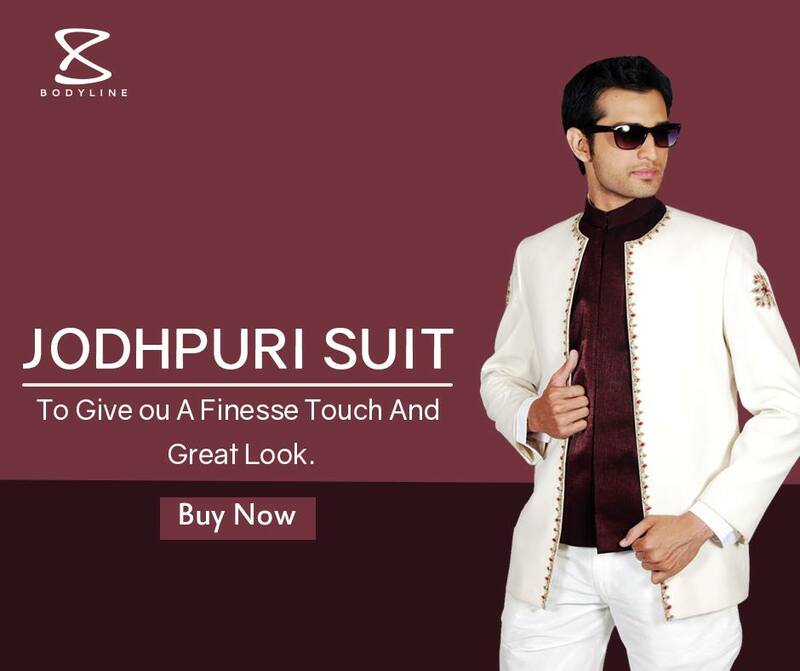 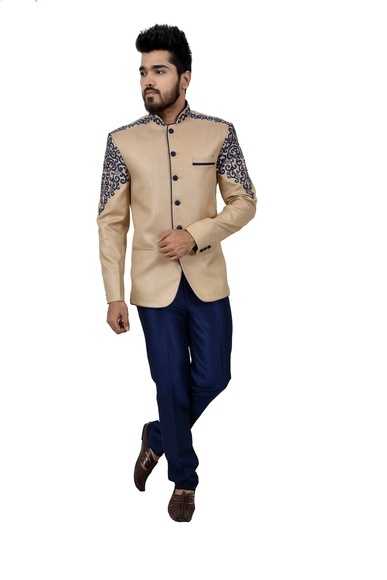 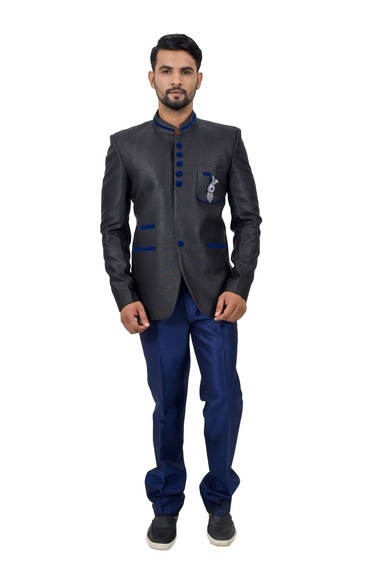 While you choose to shop online designer jodhpuri suits for men, you would have various options that would go best with different occasions. 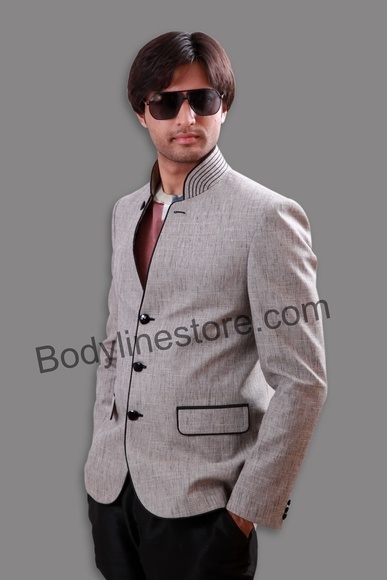 Grey, Carbon grey or navy blue suits could give you the best formal looks for attending an important meeting. 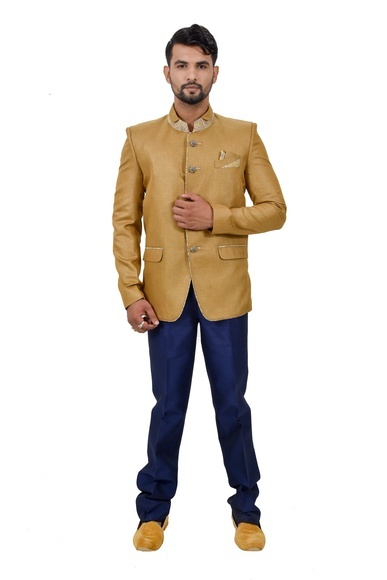 While floral printed jacket and plain trouser or plain black jodhpuri suit with a broach or asymmetric jodhpuri jacket with a salwar or vibrant colored embroidered jodhpuri suit are some of the great options you could choose from for attending a wedding. 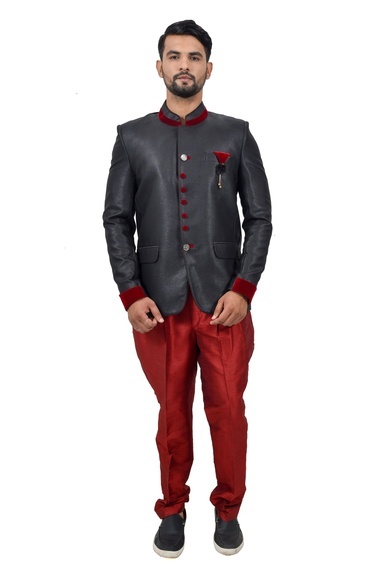 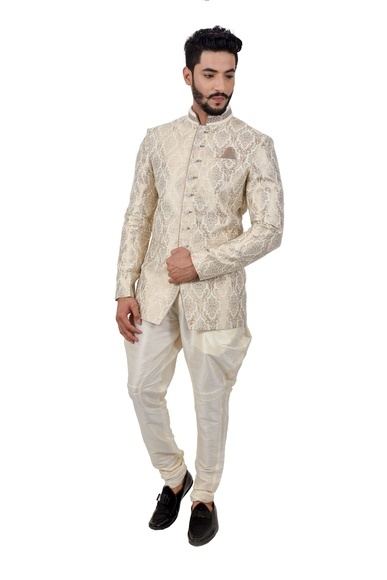 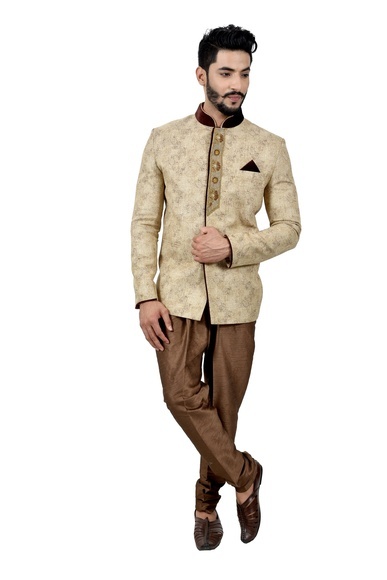 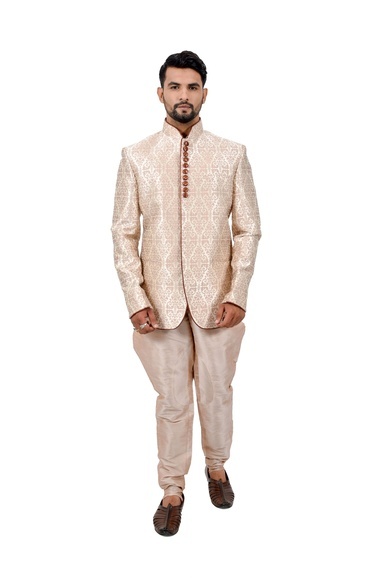 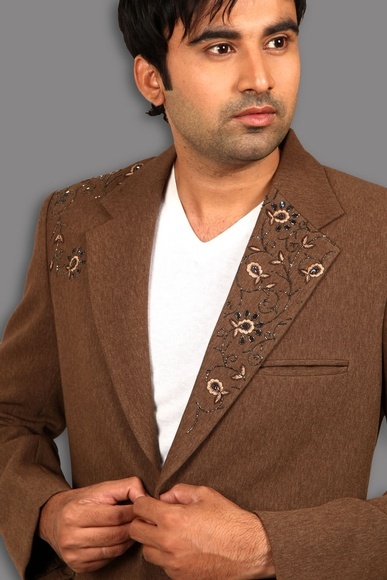 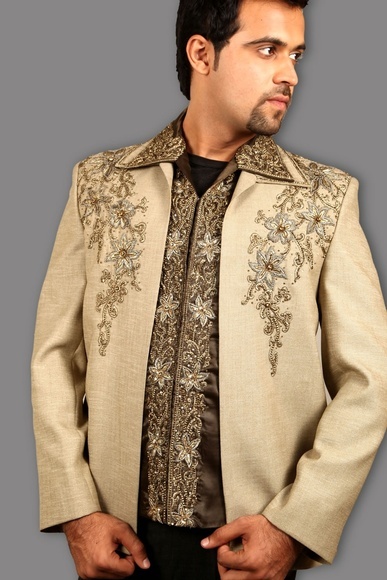 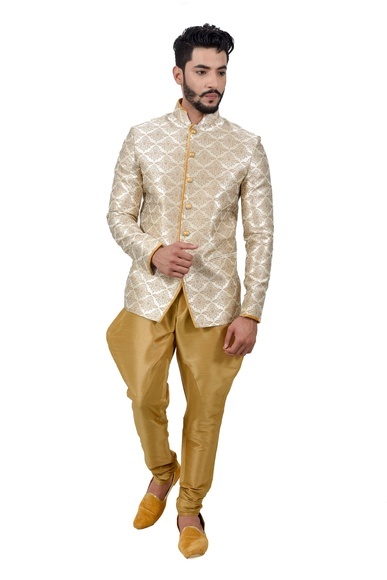 Jodhpuri wedding suits for men are a popular choice across the globe for ethnic Indian attire. 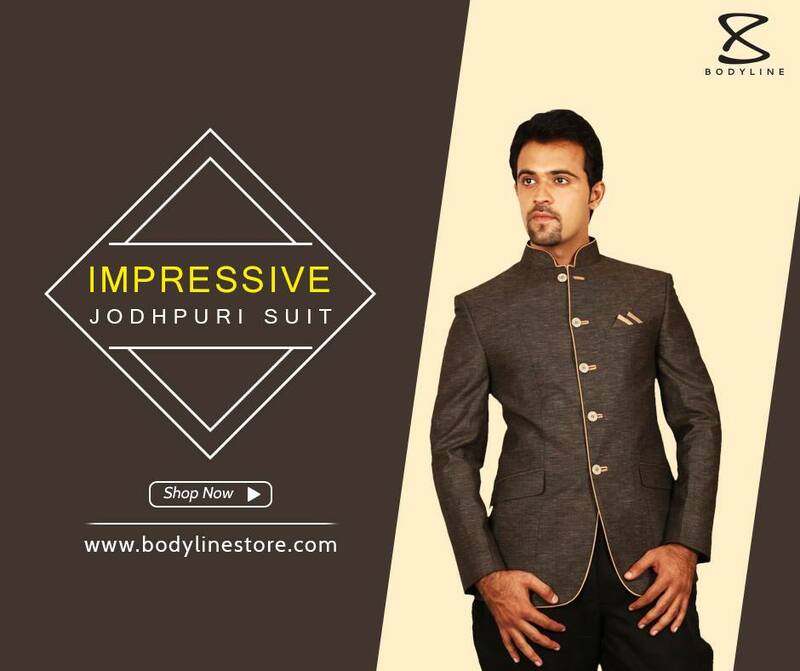 Bodyline has an eclectic collection of Jodhpuri suits that could give a different feel from retro to classic to urbane to vibrant. 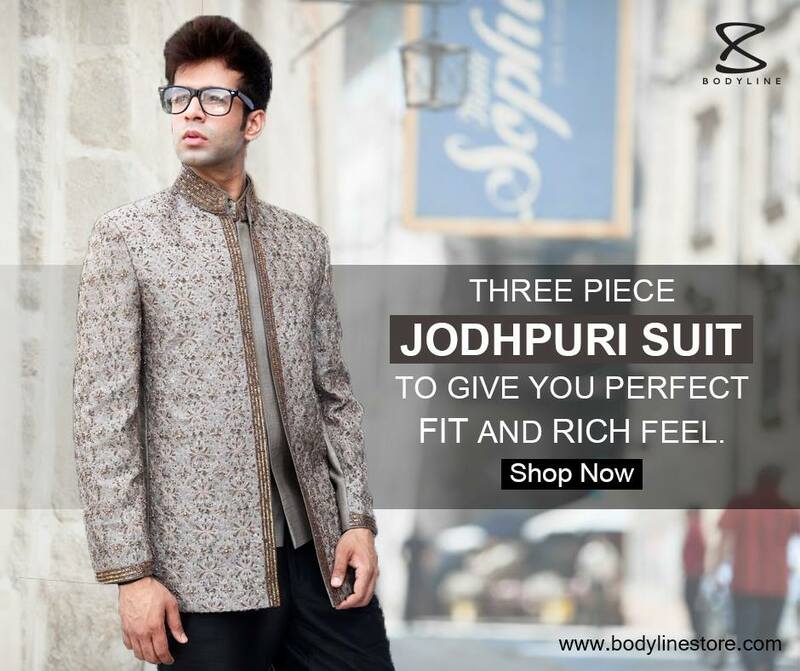 Have your hands on the timeless and classy jodhpuri suits by exploring our exquisite online jodhpuri suits collection.